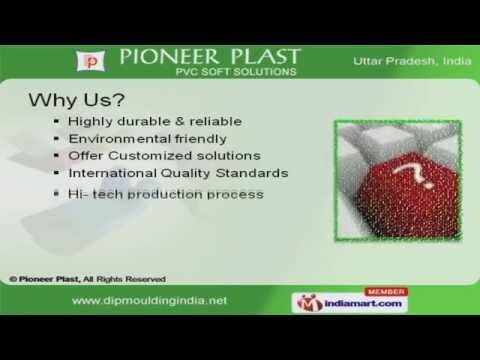 Welcome to Pioneer Plast Manufacturer & Exporter of PVC Moulded Components. The company was established in the year 2007 at Noida. Our client base is spread across Indian Subcontinent & other continents. Our Customized solutions, international quality standards & hi- tech production process has helped us gain repute in the industry. Our workforce comprises of Technocrats, Engineers, Procurement Agents, Researcherâs & Quality Controllers. We provide premium grade Moulded & PVC Moulded Components. Dip Moulded & Vinyl coating components are some of our best selling products. Along with that we provide PVC Grommets & Flexible bellows that are a class apart. Our PVC Bushers & battery Terminal Caps are one of the best in the industry. We are specialized in manufacturing PVC handle grips & customized PVC components.